Based on 25 years experience of INSTA-STIK™ Professional Roofing Adhesive in its industrial (13.5kg) large tank format, INSTA-STIK Roofing Adhesive 750ml meets the roofers need for a highly portable version for the fixing of rigid insulation boards on smaller commercial and residential roofs. Under Part L of the building regulations it is now a requirement to upgrade the existing insulation to the current standards when replacing or renewing the waterproofing layer. INSTA-STIK™ Roofing Adhesive 750ml will bond up to 14m² of roof insulation board (based on 19-25 mm beads at 300mm centres). 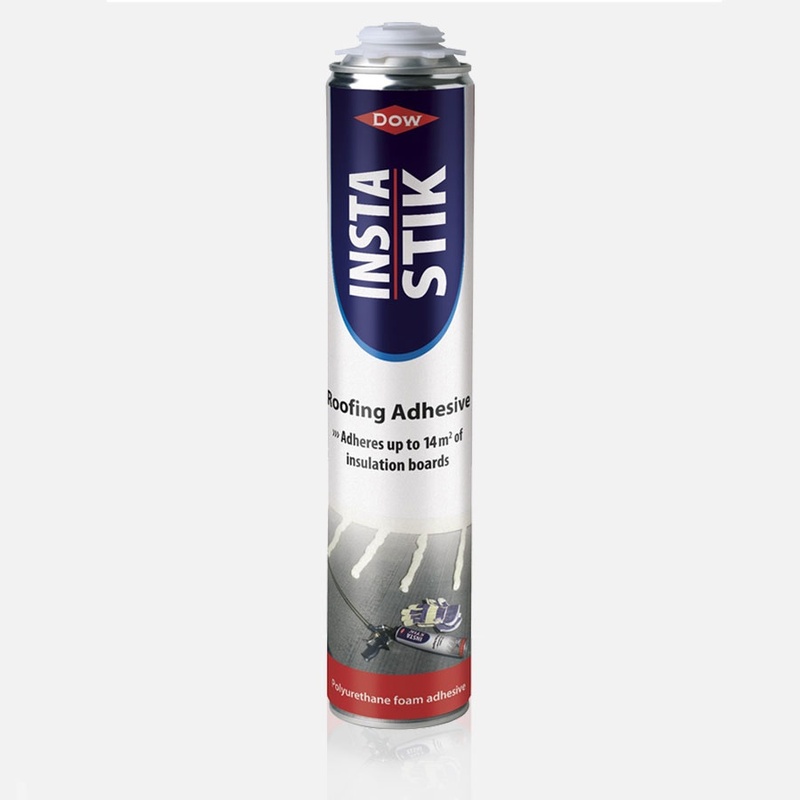 INSTA-STIK™ Roofing Adhesive 750ml is a specially formulated polyurethane foam adhesive for the purpose of adhering rigid insulation boards to flat roofs. INSTA-STIK™ is applied to the roof substrate in beads or ribbons, the roof insulation board is then placed on to the beads straight away or within 10 minutes and will be firmly adhered typically within 20-30 minutes. INSTA-STIK has been used with leading insulation products including PIR, ROCKWOOL, EPS and XPS, Cellular Glass.